Established as the second university in the country in 1969, Universiti Sains Malaysia (USM) was first known as the University of Penang, before the University Act came into effect on 4th October 1971. The university has been developing and expanding since its inception, which started with the enrolment of 57 science based students. Now, USM offers courses at undergraduate and postgraduate levels to approximately 20,000 students. USM has also become a well-known university at the local and international level. In April 1969, Professor Hamzah Sendut was elected the Vice Chancellor. Two months later, a group of 57 students were accepted to begin their studies. Since the area of Sungai Ara could not be developed as fast as required, the group was placed at the Malayan Teachers’ Training College at Bukit Gelugor on loan from the Education Ministry. In 1971, the campus, which was originally planned to be situated in Sungai Ara, moved to its present site, Minden, a beautiful location with an area measuring 500 acres. The green and hilly scenery facing the sea is truly captivating. To date, this is the only university that holds the Accelerated Programme for Excellence status (APEX) in Malaysia. The programme is scheduled to run from 2008 to 2025. It is a high-profile programme under the National Higher Education Strategic Plan (NHESP) that aims to boost a potentially recognised university to be a world-renowned institution. USM main campus is located within the surroundings of the Georgetown-UNESCO World Heritage site on the tropical island of Penang, Malaysia with a land area of 253.98 hectares. 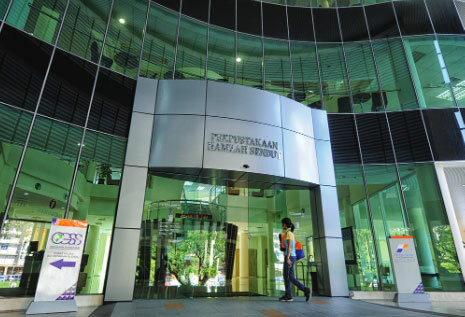 USM has three campuses –the main campus located on the island of Penang, and two other branch campuses nestled in Kubang Kerian, Kelantan (Health Campus) and Nibong Tebal, Penang (Engineering Campus). In addition, USM also has a presence in Bertam, Pulau Pinang (Advanced Medical and Dental Institute), Wisma Sejarah, Kuala Lumpur (Integrated Marketing Communication) and an offshore programme in Belgaum, India (USM-KLE International Medical Programme). Right from the time of its establishment, USM has adopted an innovative approach to higher education and of significance is its departure from the traditional faculty system of academic organisation. In its place, USM implements the broad-based “school” system where related subjects are grouped into schools of study and within each school, the policy combines subjects and organises courses in such a manner that a degree of specialisation in a chosen subject is possible. As one of the institutions of higher learning recognised by the then Ministry of Higher Education as a research-intensive university, USM offers educational and research opportunities to both students and staff. One of the key elements in the development of academic excellence at USM is the establishment of its research centres and units. This is due to the fact that the university has always been aware of the need for both research and teaching to remain as receptive as possible to the demands of society, and that the centres and units would provide better opportunities for integration and networking. In addition, USM also provides consultancy, testing, and advisory services to various industries. These services come under the ambit of USAINS Holdings Sdn Bhd, the University’s commercial arm. USM offers undergraduate and postgraduate programmes that are conducted by the following Schools: Main Campus, Penang. Graduate School of Business, School of Distance Education, School of Educational Studies, School of Housing, Building & Planning, School of Industrial Technology, School of Management. School of the Arts, School of Communication, School of Humanities, School of Languages, Literacies & Translation, School of Social Sciences. USM provides various services to its students such as hostel accommodation, counselling/motivational guidance, sport and recreational amenities like soccer fields, 8-lane synthetic running track, an Astroturf hockey stadium and an Olympic-sized swimming pool. Cultural events and activities are organised at the Cultural Hall to foster closer ties among students. There are also various clubs and societies that cater to a wide array of interests. These include the Political Science Society, Computer Science Club, Indian Cultural Club, Navigator Society, Astronomy Club, Debating & Public Speaking Club, and Mass Communication Club to name a few. The Counselling Unit at USM offers support services to help develop students’ potential and capabilities. Besides contributing to the national research effort and advancement of knowledge in general, the university has also taken steps to identify and periodically assess areas of research which are deserving of special support, in order to compete more effectively for external funds. In USM’s bid to provide better incentives for the development of new products and processes by its staff, it has recently drawn up specific rules governing the patenting and commercialisation of research results. Prof. Dato’ Omar Osman to Y.Bhg. Prof. Dato’ Dr. Omar Osman is currently the Vice-Chancellor of Universiti Sains Malaysia (USM), the first university in Malaysia chosen by the Malaysian Ministry of Higher Education to implement the Accelerated Programme for Excellence (APEX). He was formerly the Deputy Vice-Chancellor of USM in charge of Student Affairs and Development [March 2007 - 2011]. Omar was also formerly Director of the Corporate and Sustainable Development Division, Universiti Sains Malaysia [2005-2007], a division in the university responsible for the planning and implementation of USM's strategic moves and also acts as the secretariat for the Regional Centre of Expertise Penang [RCE Penang] on Education for Sustainable Development (ESD) and coordinator for activities related to the Healthy Campus programme. He is also currently a Professor in Project Management and Sustainability at the School of Housing Building and Planning, USM and still actively engages in academic teaching and supervision especially on construction project management at the postgraduate level. Prof. Dato’ Omar Osman to Y.Bhg. Prof. Dato’ Dr. Omar Osman began his career in USM in 1989 soon after he graduated with a PhD in Project Management from Heriot-Watt University, United Kingdom. He also holds a BSc in Quantity Surveying and MSc in Construction Management. He was appointed a Professor in October 2008. Omar has played a significant role in promoting Education for Sustainable Development (ESD). He and a team of experts were responsible for the recognition of USM as one of the seven world's first Regional Centre of Expertise (RCEs) on ESD by the United Nations University in 2005. He continues to play an active role in promoting ESD particularly during his tenure as Deputy Vice- Chancellor. He is still active in research and consultancy work on project management and ESD and travels widely in the process of learning for sustainability. In the area of strategic planning, Omar is actively involved in a series of strategic moves made by USM since 2004, including the planning of the Research University, the 9th Malaysia Plan development, the APEX University and the 10th Malaysia Plan. Omar is also actively involved in training and human resource development especially in students' development where he led a number of initiatives on sustainability. Omar has published a number of books including Construction Management (in Bahasa Melayu), The Emerging Governance and Economic Issues in Construction Industry, and The Education for Sustainable Development in Higher Education Institutions. He is planning another book on human resource development in USM. Omar has also been appointed as keynote speaker at various conferences on sustainability both locally and abroad. Omar has a deep passion for sports which landed him various posts in sports development. He was the Chairman of the Malaysian University Sports Council (MASUM) [2008 – 2009], and Chairman of ASEAN University Sports Council (AUSC) [2008 – 2010]. Presently, Omar is the Chairman of Holistic Student Development-Critical Agenda Project PSPTN of the Ministry of Higher Education, and was the Chairman of the IMT-GT Student Carnival 2009-2011 and the Deputy Chairman of the Deputy Vice Chancellors' Student Affairs Secretariat of the Malaysian Public Universities [2010-2011]. I haven’t been in USM for long but I’ve noticed a lot of great things especially in my school. I really want tosay that we have such good lecturers at USM who are qualified and have a lot of experience in teaching. In our university we have amazing IT facilities almost everywhere inside the campus which is really helpful. We also have a lot of facilities like transportation, library, labs and internet service. I work at the international office as a volunteer and buddy student. I have many friends find them extremely friendly and helpful. I think USM is great place to build a career. As an international student, I have cherished my time at USM since the moment I stepped in. Here, I have been lucky enough to get to know some very great, compassionate people among lecturers and staff. I have had the chance of befriending some of my greatest buddies from different nations. The serenity of this place helps me focus on my academic studies. If I had a chance to go back to the past, I would choose to come to study at USM again. As an international student overseas, I have been really lucky to be one of the students at University Sains Malaysia. I’d like to express my sincere appreciation to the teaching staff who taught me during my M.A. course and to the academic staff from the School of Humanities for their constructive supervision, invaluable instruction and humane attitude all through the time of my course. I’d say that they create an environment where you can grow and develop and make a difference towards your future. Last but not least, I have noticed that throughout my studies I have always learnt new things which will help me to be the best I can.